Don’t let port incompatibility slow you or your marketing dreams down. 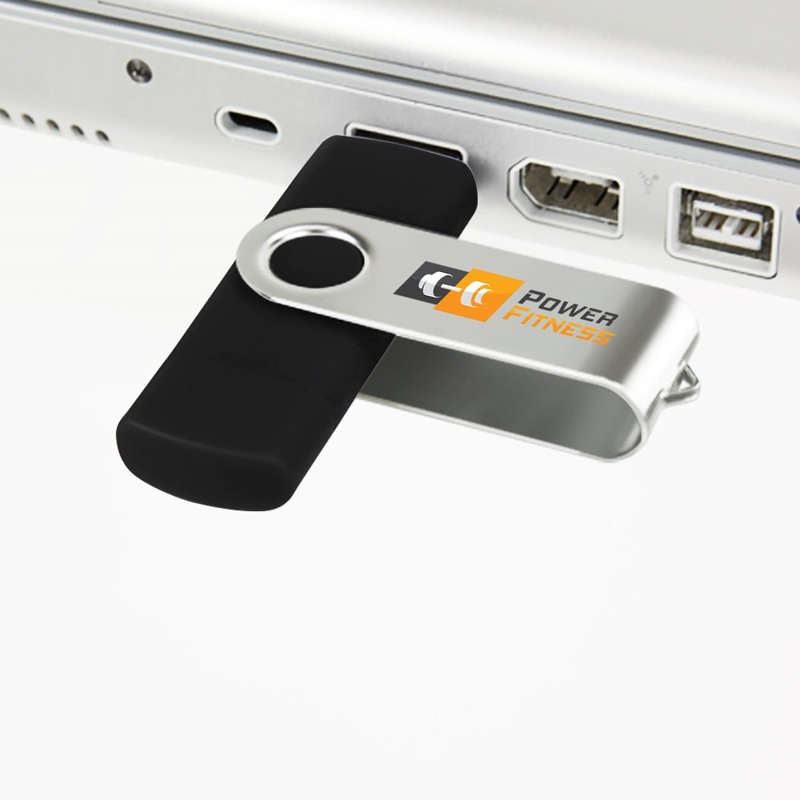 The new USB-C Pro Swivel flash drive offers dual compatibility with both type A USB and USB-C ports, so you can easily complete projects and access your data. Your custom printed logo will look great gleaming on the metallic swivel arm of this fun promotional product! The Pro Swivel is an excellent blend of functionality and promotional value. 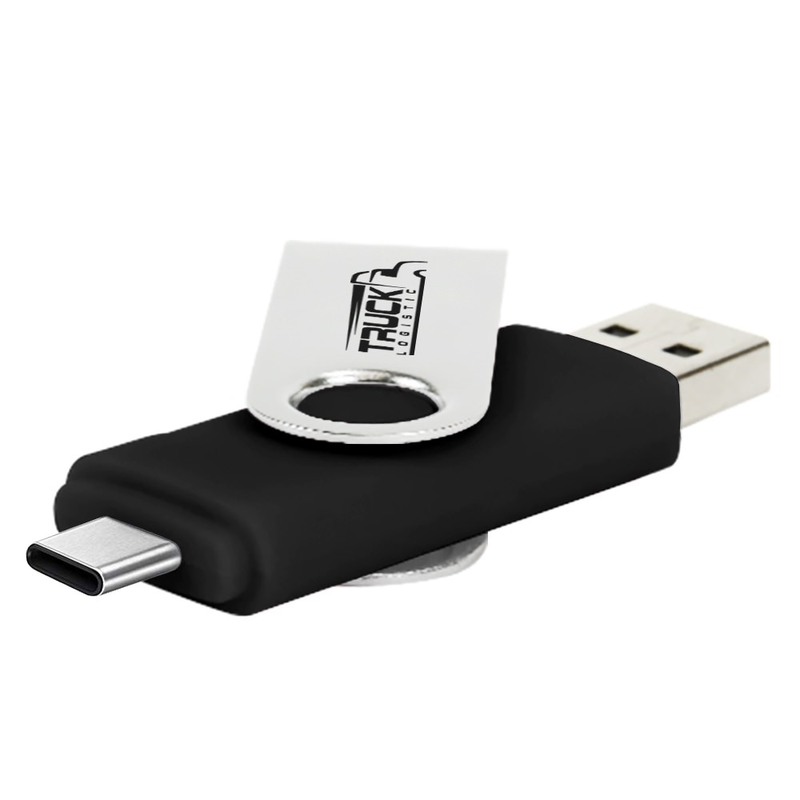 It offers a USB Type A port protected by a standard silver swivel cover which is excellent real estate for a custom printed logo of your choosing. 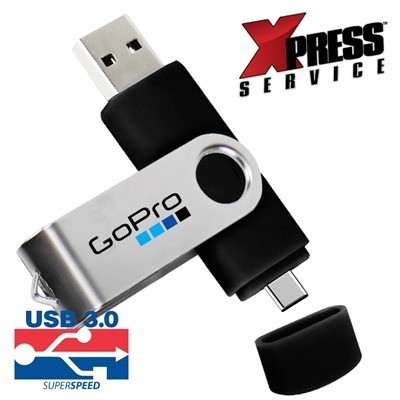 On the other end of the drive, protected by a plastic cap, is a USB-C port, thus allowing dual connectivity to users. The drive currently comes in a stylish black, perfect for any occasion or context and includes free 4-color printing for your logo or design. Even better, this flash drive comes in USB 3.0 speeds and generous 8GB or 16GB storage capacities. 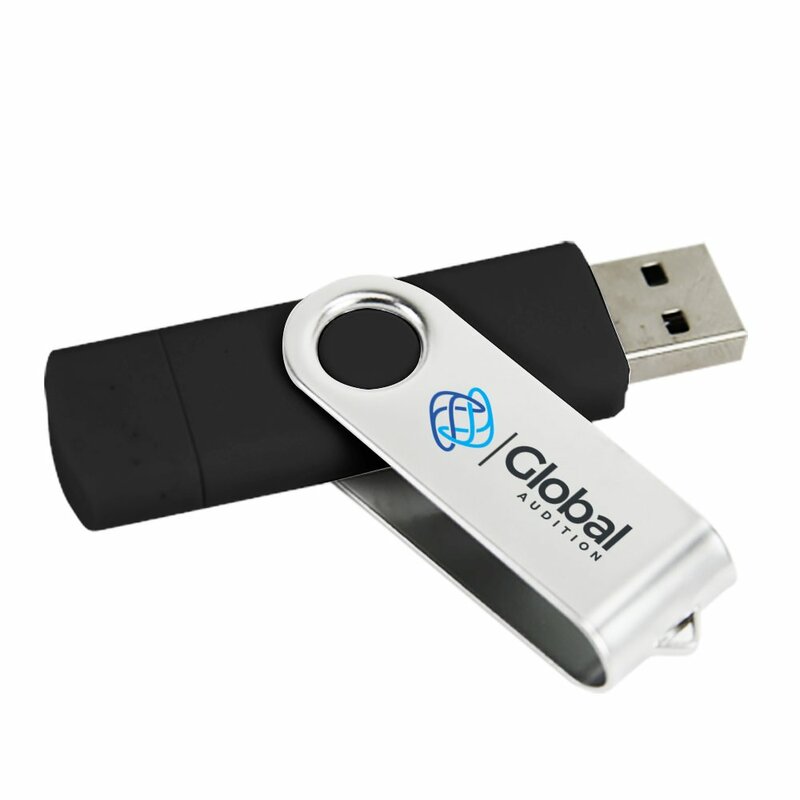 Give customers what they want and need: dependable, dual functional storage that doubles as a promotional gift! Printing: FREE 4-Color Printing (FREE 1–Color 2nd Location) *Set-up cost may apply.